Behind a tractor or baler — the ELHO Sideliner 1650 A takes care of wrapping efficiently. 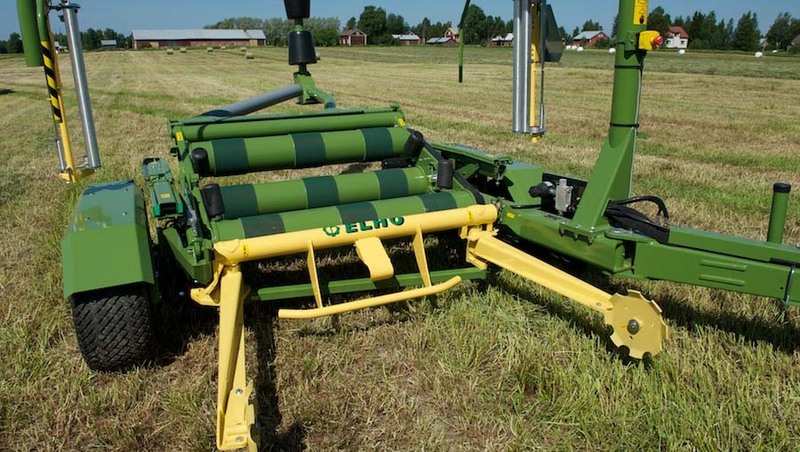 The fully automatic ELHO Sideliner 1650 A recognises a bale on the field, lifts it onto the wrapping table, wraps the bale and either drops it or leaves it on the table according to the driver’s choosing. Bale loading begins automatically when the loading fork sensor detects a bale. The new Sideliner 1650 machines are extremely flexible; round bales can be a diameter of 1.1–1.6 m. A variable flow control valve, mudguards and a light set come as standard equipment. Thanks to an extensive range of additional equipment, it is possible to create a combined baler/wrapper, a true one-man machine chain. On top of it all, this creates significant savings. 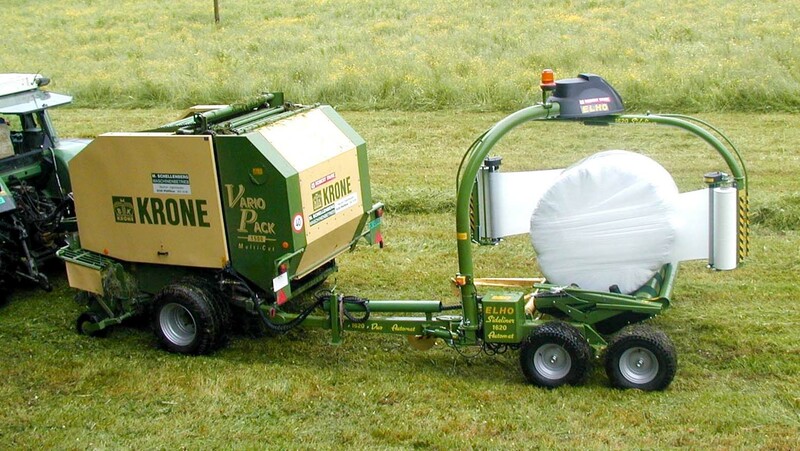 The ELHO Sideliner 1650 A can be connected to a baler with a fastening set. 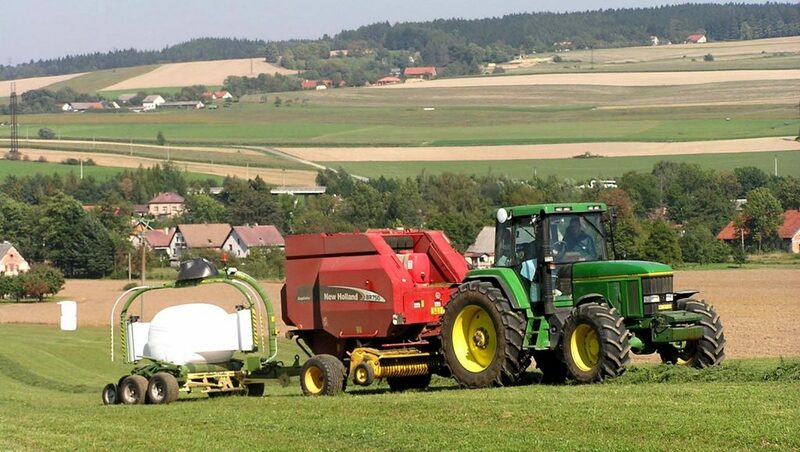 Wrapping and baling simultaneously ensures that both time and money are saved. Small and separate sections can also be used economically as a result. When combined, wrapping is carried out automatically after the bale has left the baling chamber.